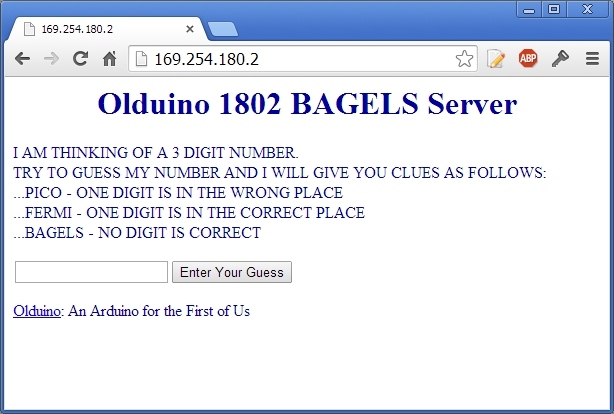 This is one of the olduino’s best tricks. 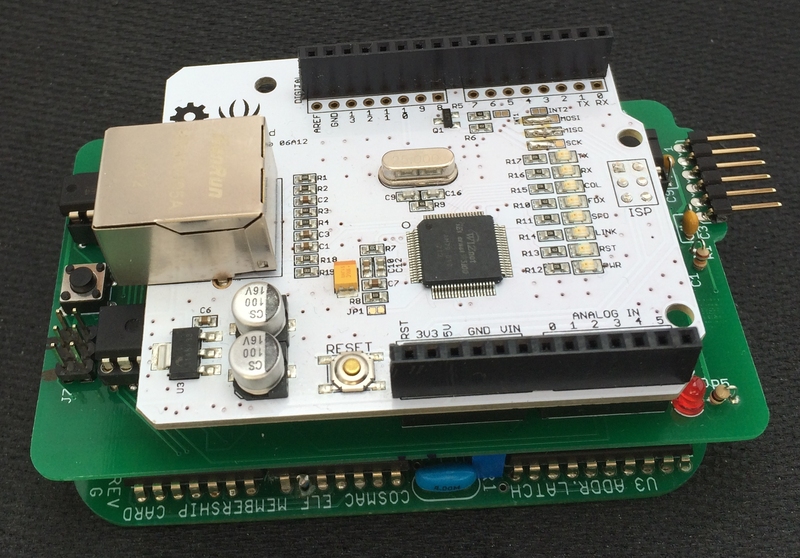 An inexpensive ethernet shield and a bunch of code makes a standalone web server. 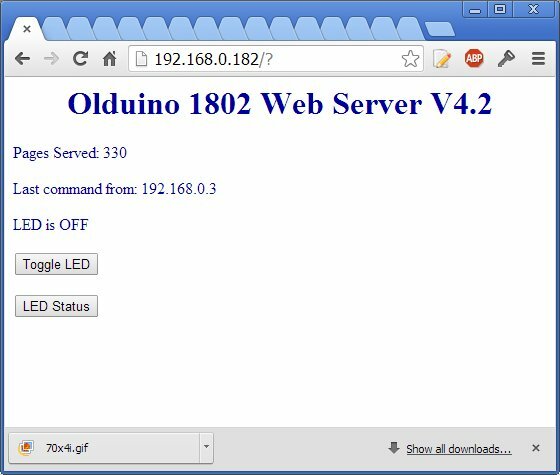 I’ve done several iterations of it starting with a simple blinkenlight example where the 1802 would serve a simple web page and turn its Q led on and off in response to browser requests. There was later a multi-user version of this that let people register their names and kept a table of them. I had it on the public internet for a few days early this year and it served several hundred pages to people all over the world. This was running on a 1.6MHz 1802 with the shield adapter and 2MHz SPI connection between the 1802 and the ethernet card. I had to be really tricky about not sending/receiving too much data. I wrote a couple of posts on the code here and here. The latest version of the server is running on the 4MHz 1802 CPU with a faster connection to the ethernet card. 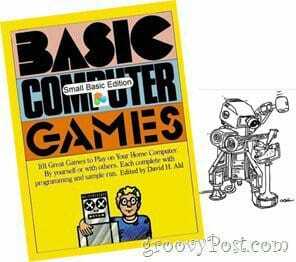 On this platform I implemented the Bagels number guessing game from the old David H. Ahl book: 101 Basic Computer Games. This still tries not to push too much data but it maintains a list of current players with their scores and secret numbers. There’s a writeup here and some followup here here and here. At this point it works pretty well but it hasn’t been on the public internet yet.